Hi there! I want to share a couple challenge cards I made for the very 1st challenge at Creative with Stamps! The 1st challenge is Butterflies. 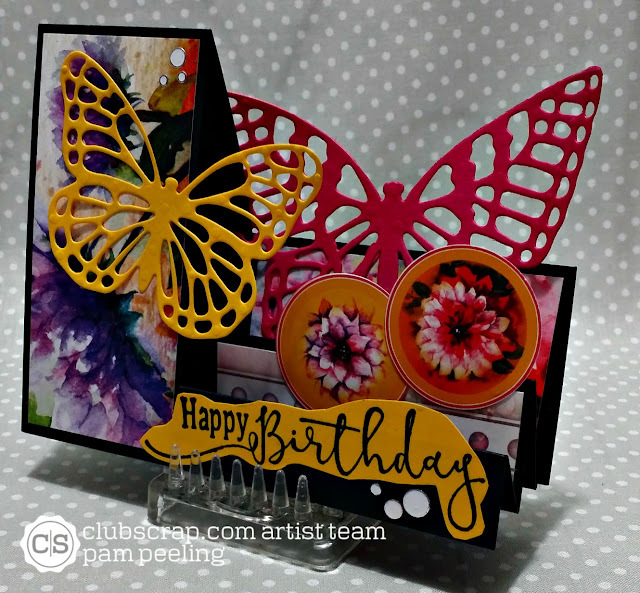 I used papers from the Club Scrap Dahlia kit to create my cards. I love the fancy folds and 3d cards! The side step card is one of my favorites! All these elements except the butterflies are from the Dahlia kit. 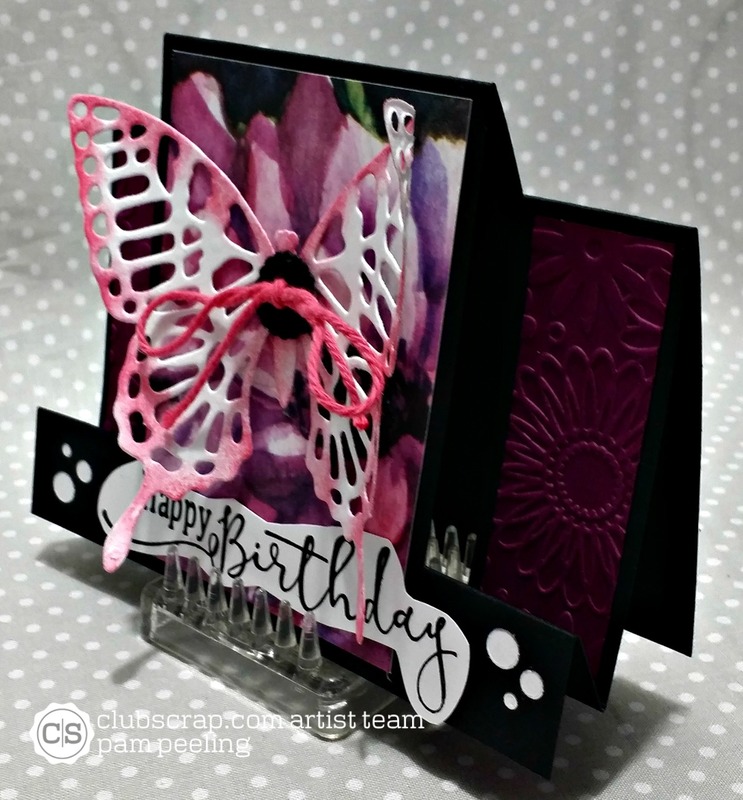 The butterflies are cut from the Stampin Up! Butterfly Thinlits. This one is a center step card. Again made with all papers from the Dahlia kit. I hope you check out Creative with Stamps Blog and try your hand at a challenge! Oh, how I love the rich colors! I love that you made cards with so many layers and textures. Just beautiful. Good luck in the challenge. Good to see you at Creative With Stamps! Very pretty and cleaver creations and love the colors. The die cuts are perfect. Thanks for joining us at Creative with Stamps. Beautiful creations! Great use of the butterflies and colors :) Love it!